How Does Zombies And Botnets Impose Threats To Your Network. A distributed denial attack is a type of attack that uses multiple device on disparate network to lunch the coordinated attack from many simultaneous sources. These can sometimes be be difficult to differentiate from traffic spike when they first begin. 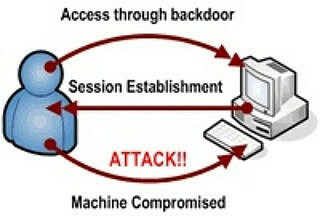 The attacker, introduce unauthorized software called zombie or drone that direct the device to lunch the attack. A botnet in other hands is a collection of internet-connected programs communicated with other similar programs in other to perform tasks that can be used to send spam email or participate in DDOS attacks. ← McAfee Antivirus Offers Total Security For Every Device You Own.